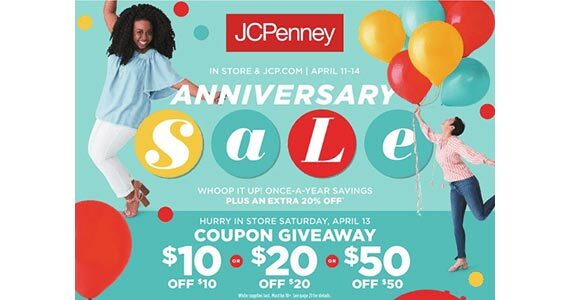 JCPenney is having their FREE $10, $20 or $50 off coupon giveaway again on April 13th! Coupons valid for $10 off a $10+ in-store purchase, $20 off a $20+ in-store purchase or even $50 off a $50+ in-store purchase! Please reach out to your local JCPenney for store hours as they may very by location. Most stores are participating. These coupons are available while supplies last.